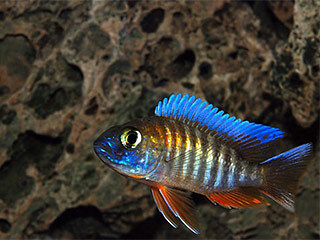 At Nebraska Aquatic Supply, we have a great collection of freshwater fish that all aquarium owners will surely love. Our company has served countless aquarium owners, hobbyists, and collectors in Irvington, Omaha, and Council Bluffs. For years, countless clients have relied on us for their aquarium needs, and we have always managed to supply them with the best fish species. Whether you only need a pair of fish or your aquarium setup requires more than a dozen freshwater fish of various species, we can surely supply them. These species and many other freshwater plants help make aquariums suitable for fish and make the setup more natural. There are so many plants to choose from, and we can surely provide you with your needed species regardless of the volume required. Among the other supplies that we always have in stock for our clients are premium quality foods for freshwater fish. We get these foods from our partners that are some of the most recognized and trusted suppliers in the industry. We carry products from brands such as LRS, Rod’s Food, Bio-Pure, Reef Nutrition, Hikari, AquaVitro, and many other trusted brands. We guarantee that all of these are safe and will keep your fishes healthy. We can offer valuable guides and tips for neophytes on how to care for freshwater fish. 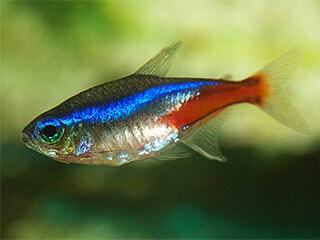 We have experts who know the best pet fish care, as well as the proper maintenance of freshwater aquarium setups. We aim to make our clients’ pet fish healthy and their aquariums looking great and staying in great shape longer. We can even help customers in the aquarium setup to ensure that they will get their desired look. We provide all these add-on services to make sure that you will enjoy your freshwater aquarium and the company of your prized pet fishes. Our company has always believed that great quality products need not cost too much. While we are here to do business, we also know that we must serve our valued clients and make our products accessible to them. That is why we have always made it a point to make our prices well within the financial reach of consumers in Irvington, NE and nearby areas that we serve. Whether we’re selling freshwater fish or plants, you can always expect the most affordable pricing from us. Please dial (402) 934-8206 for your inquiries or orders.